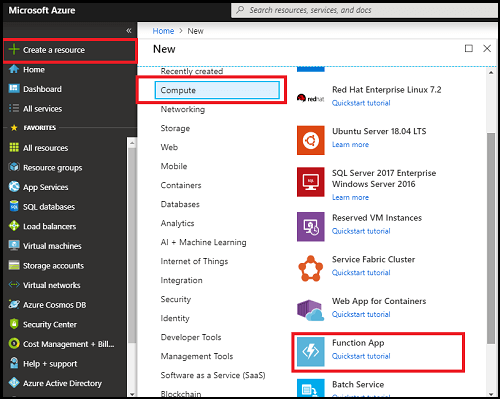 Follow the below steps to create an Azure Function. In the dashboard, choose to create a resource and click on "Compute". Now, choose "Function App". 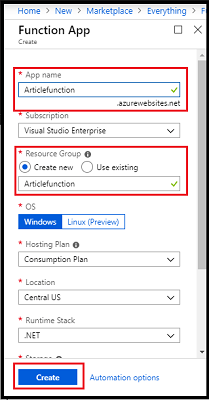 Enter the name you want to assign to the logic, choose the subscription and resource group where you organize related resources and your hosting plan. This plan is based on the executions and resource consumption. It also has a free monthly limit of 1 million requests and 4,00,000 GB-s (Gigabyte seconds) of resource consumption per month. 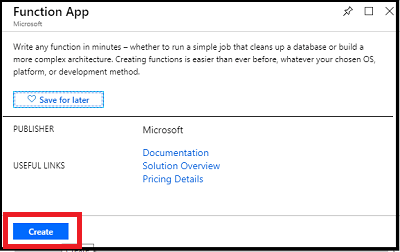 Finally, choose the location where your Function App is stored. Then, click "Create". Here is the dashboard. Click on the newly created "Function App". 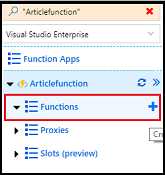 Now, click "Functions" to create a new function app. Next, we have to choose the "In-portal" option. 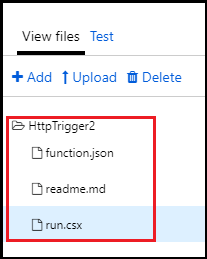 Next, we have an editor which preloads the run.csx file where you can find a predefined method to be fired when the API is called. 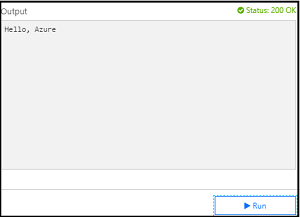 The "Run" button is used to build and execute the code and the "Save" button is used to save the changes done in the code editor. To test the app, we have a test functionality which is available in the right side corner of the screen. We will get the output. 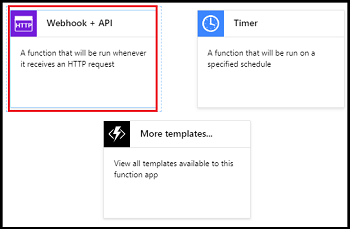 Let us test the Azure Functions App in the browser. Now, save the workflow and run it. 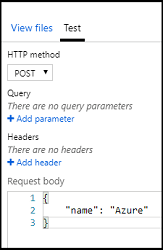 Click on the "Get Function URL" button. Paste in the browser and add the following text before hitting Enter. 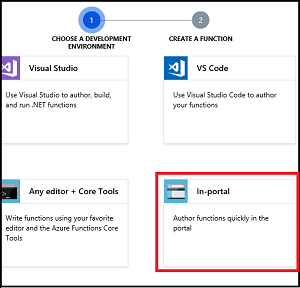 I hope you understood how to create an Azure Function App on the portal. 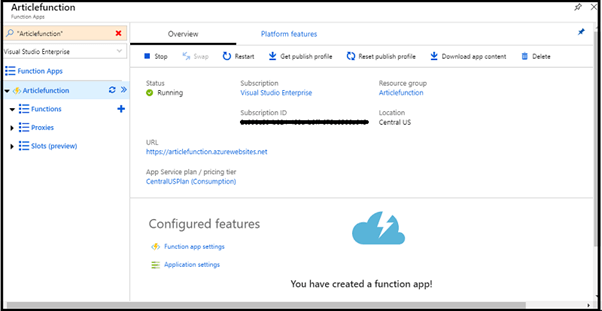 Stay tuned for more Azure Function App articles.